July 5, 2017 – This zoomed-in view of Epimetheus, one of the highest resolution ever taken, shows a surface covered in craters, vivid reminders of the hazards of space. Epimetheus (70 miles or 113 kilometers across) is too small for its gravity to hold onto an atmosphere. It is also too small to be geologically active. There is therefore no way to erase the scars from meteor impacts, except for the generation of new impact craters on top of old ones. 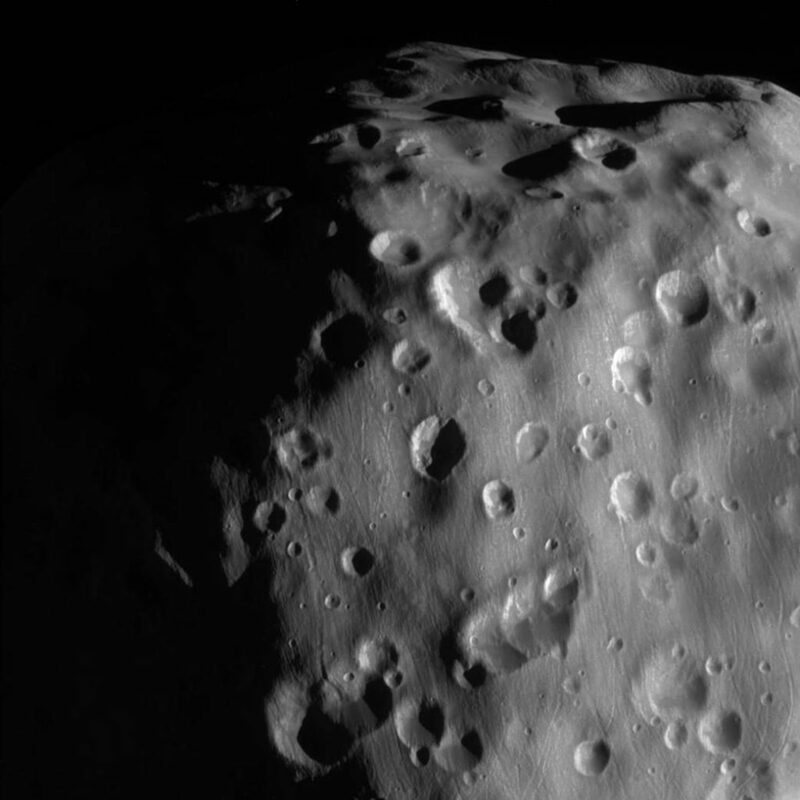 This view looks toward anti-Saturn side of Epimetheus. North on Epimetheus is up and rotated 32 degrees to the right. The image was taken with the Cassini spacecraft narrow-angle camera on February 21, 2017 using a spectral filter which preferentially admits wavelengths of near-infrared light centered at 939 nanometers. The view was acquired at a distance of approximately 9,300 miles (15,000 kilometers) from Epimetheus and at a Sun-Epimetheus-spacecraft, or phase, angle of 71 degrees. Image scale is 290 feet (89 meters) per pixel.